Cambodia, a country consistently ranked as “not free” by Freedom House, is in the midst of a crisis. On July 28th, the country held parliamentary elections. Prime Minister Hun Sen’s ruling party won 68 seats out 123 in the National Assembly. The main opposition, the Cambodia National Rescue Party (CNRP), won 55 seats — a surprisingly strong showing — and has disputed the results, alleging widespread fraud. 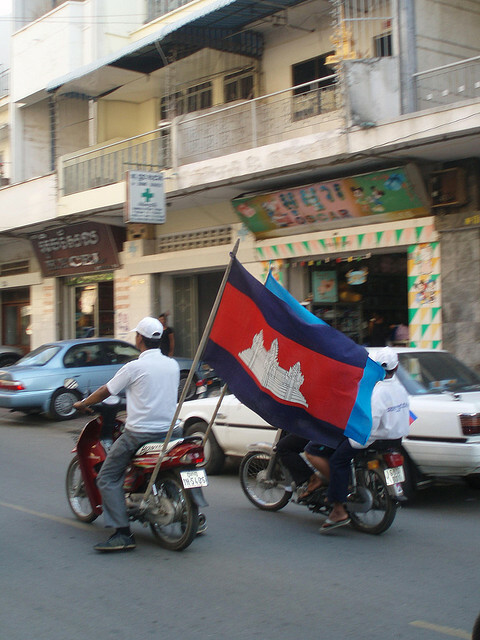 CNRP supporters have taken to the streets of Phnom Penh in protest. The government has responded by bringing armored vehicles and troops to the capital, stoking fears of violence. Unsurprisingly, Cambodia’s crisis has an international component, with the CNRP is calling on the international community to participate in an inquiry into the election results. To get a handle on the situation, I turned to Dr. Daniela Donno, an Assistant Professor of Political Science at the University of Pittsburgh. 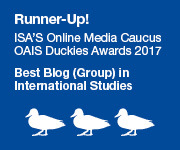 Donno is an expert on electoral misconduct and has written an exciting new book with Oxford University Press about how international actors promote and defend democracy in the wake of flawed elections. The book analyzes a wealth of original quantitative data on the enforcement of democratic norms and contains several case studies, including one of Cambodia. Donno was kind enough to share her expertise with PV@Glance readers via an interview. SB: When do elections in authoritarian regimes like Cambodia lead to democracy? DD: Unfortunately, elections are unlikely to produce democratization in Cambodia, which has many hallmarks of an uncompetitive, “hegemonic” authoritarian regime. Hun Sen has ruled the country for nearly three decades and possesses a tight grip over state institutions (at both the local and national level) and the media. Cambodia has held regular elections since the UN-administered transition in 1993, but these contests have only served to perpetuate and legitimate an increasingly authoritarian status quo. Opposition leader Sam Rainsy is now appealing the election results, but this is unlikely to amount to anything, since the judiciary and election commission is in the pocket of the ruling party. The problem is that in hegemonic regimes, opposition parties and international actors have few means with which to influence a ruler that is firmly entrenched, and voters are unlikely to view elections as a conduit for political change. In more competitive authoritarian contexts — where the opposition garners a larger share of votes and legislative seats — elections represent moments of much more contingent uncertainty, and opposition parties can sometimes capitalize on this, particularly if disparate factions coalesce to present a viable alternative to the regime. My research highlights this distinction between the effects of elections in hegemonic and competitive authoritarianism. This year’s election in Cambodia is therefore unlikely to lead to democratization in the near term, but the fact that the opposition managed (against all odds) to garner an increased share of legislative seats does provide a glimmer of hope for future elections. Greater legislative representation will give the opposition an institutional base, and — equally important — may reduce the perception among voters that the regime is electorally invincible. There is likely to be a struggle, however. Hun Sen has proven that he does not go down without a fight. Indeed, in June of this year, 28 opposition members of the legislature were expelled, and it would not be surprising if such tactics were employed again. SB: What types of international pressure are most effective in the wake of flawed elections? DD: Conditionality — the linking of punishments or rewards to demands for improved electoral conduct — plays a particularly important role in most cases. It is rare that a leader with a track record of electoral misconduct can be influenced by normative shaming or criticism alone. However, there are some caveats to the effects of conditionality. Though it is an obvious point, it bears emphasizing that international actors must follow through on their threats and promises. This has been a real problem in Cambodia (more on this below). Moreover, even when the will to follow through is there, change tends to be gradual. This is particularly true when conditionality is directed toward reforming state and electoral institutions. It takes time for institutional change to be designed and implemented, and then more time for these changes to translate to measurable improvements in electoral quality. Thus, conditionality implemented in the wake of a flawed election typically produces an improvement in the conduct of subsequent elections — and even then, improvement may be incremental and take multiple electoral cycles to produce dramatic effects. Finally, international pressure is likely to have only a marginal or superficial impact in the absence of a viable domestic opposition. When there is no threat of electoral turnover, leaders can more easily engage in “strategic adaptation” whereby they introduce improvements in some areas of electoral conduct but then shift manipulation into other areas. A leader may ensure an improvement in ballot counting on election day, for example, but step up efforts to intimidate or buy off opposition voters during the pre-election period. 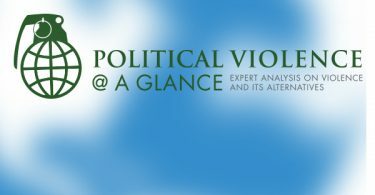 Hun Sen is skilled at this type of adaptation: elections in Cambodia have grown markedly less violent over time (which is a dimension of electoral quality of particular concern to the international community), but real openness and competition remain elusive. In a recent article with Alberto Simpser, we find that incentives to engage in strategic adaptation are particularly high in the presence of international election monitors — an unsettling conclusion which highlights the sometimes unintended negative consequences of election monitoring. SB: Have international actors played a constructive role in promoting democracy in Cambodia in the past? Are they likely to do so in the future? DD: The proof is in the pudding: it has been two decades since Cambodia’s so-called “transition” in 1993 and real democracy is nowhere in sight. This is unfortunate, since as a poor and heavily aid-dependent country, the potential for international leverage in Cambodia is high. (Using aid as a political tool raises ethical questions, but corruption is so rampant in Cambodia that the effectiveness of aid is questionable to begin with, as the World Bank has noted). Each year, the international community issues criticisms and makes demands, but Hun Sen has had to do little more than pay lip service to democracy in order to continue to receive generous sums of aid. The U.S. has been somewhat more vocal than Europe and the UN in criticizing democratic deficiencies in Cambodia. (One exception is the UN’s special rapporteur for human rights in Cambodia, but the reports issued by this office have not been matched by broader UN conditionality). When push has come to shove, there has been little will to back up calls for reform with concrete measures. Another glaring problem is the lack of effective regional instruments for promoting and protecting democracy. In my book, I find that regional international organizations are often more effective democracy “protectors” than the U.S. and the UN. This is therefore an important factor that separates Asia from Latin America, Europe and even Africa — whose regional international organizations have stronger track records of responding to electoral misconduct. ASEAN has been notoriously reluctant to take a stand against electoral misconduct in its member states due to its commitment to non-interference and consensual decision-making. Its track record of defending democracy in Cambodia has been weak (even its response to a 1997 coup d’état was wavering) and appears likely to remain so. Did the Zimbabwe Coup Encourage Gabon’s Plotters?